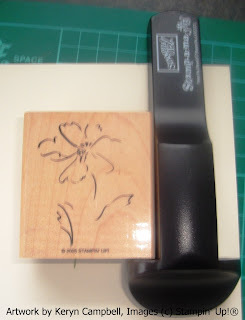 I own a Stamp A Ma Jig (SAMJ) but it's not something that I've used often in my crafting. However, when I have demo'd it at workshops there's always been one guest that really loves the idea of perfect image placement. 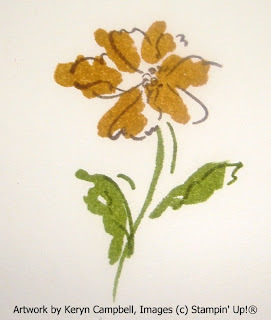 I've stamped the solid flower image from 'Heartfelt Thanks' twice after colouring it with More Mustard and Old Olive Stampin' Write Markers. 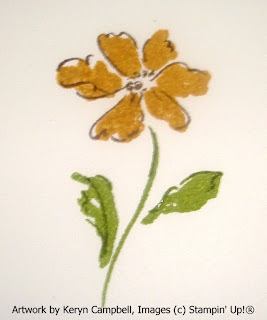 I then stamped the matching line image on the first one using Close to Cocoa and Old Olive Stampin' Write Markers without using the SAMJ. I like the offset look of this image but if you like exact placement it may be screaming at you. 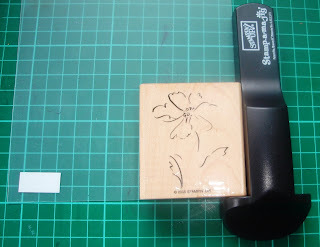 Keep scrolling down to see how to stamp the same image using the SAMJ. Place the clear plastic sheet, rough side up, into the L shape of the guide. 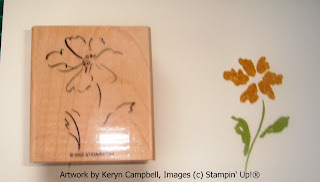 Ink up your stamp as before and stamp it onto the plastic sheet using the guide for placement. You now have an image on the plastic sheet. 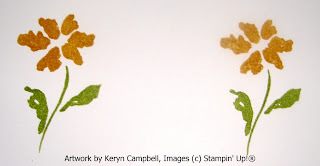 Using dye ink that I am it will never be a perfect image. 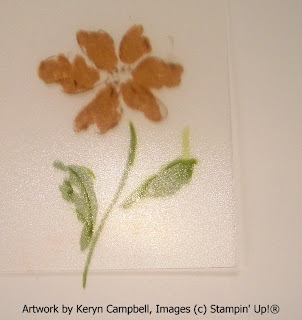 Position the image on the plastic sheet in the position you want the image on your cardstock. Line the guide up on the corner of the plastic sheet. 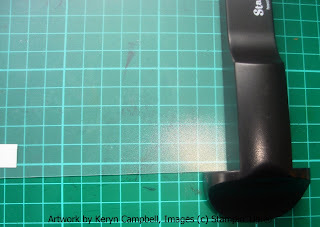 Remove the plastic sheet and reink your stamp and stamp placing the stamp into the guide as before. 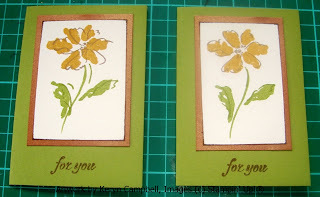 Here are two cards that I made up with my stamped images. Thanks for making it to the end. I would love to see what you've made with your SAMJ's. Leave me a comment on this post with a link to your projects. If you would like to purchase a stamp positioner contact me at keryn.campbell@xtra.co.nz. New Zealand residents only please.